Who Controls the Cocaine Trade? Cocaine comes from the coca plant, which is mostly grown in Colombia, Bolivia, and Peru. The drug is manufactured in these countries in clandestine laboratories with a number of different chemicals. Once processed, it is trafficked through South and Central America to Mexico to be smuggled into the United States, or shipped to markets in other parts of the world. The Colombian cartels were historically the biggest players in the cocaine trade. But Mexico has seized a larger foothold in recent years. Various methods are used to make cocaine. Once cocaine is processed, distribution occurs. Distribution is a complex chain that usually involves many different groups. 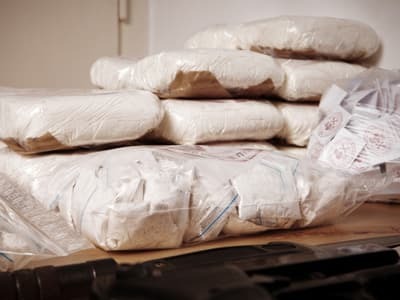 It is estimated that about 90% of U.S. cocaine comes through the U.S.-Mexico border, mostly through Texas. European Monitoring Centre for Drugs and Drug Addiction. (2015). Cocaine and Crack Drug Profile. Stratfor. (2013). Mexico’s Cartels and the Economics of Cocaine. Stratfor. (2012). Criminal Commodities Series: Cocaine. Miroff, N. (2015). 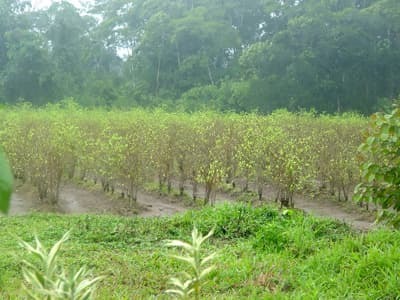 Colombia is Again the World’s Top Coca Producer. Here’s Why That’s a Blow to the U.S. The Washington Post. Drug Enforcement Administration Museum. Cannabis, Coca, & Poppy: Nature’s Addictive Plants. United Nations Office on Drugs and Crime. (2009). Cocaine. Johnson, B.D. (2003). Patterns of Drug Distribution: Implications and Issues. Substance Use and Misuse, 38(11-13), 1789-1806. Central Intelligence Agency. Illicit drugs.